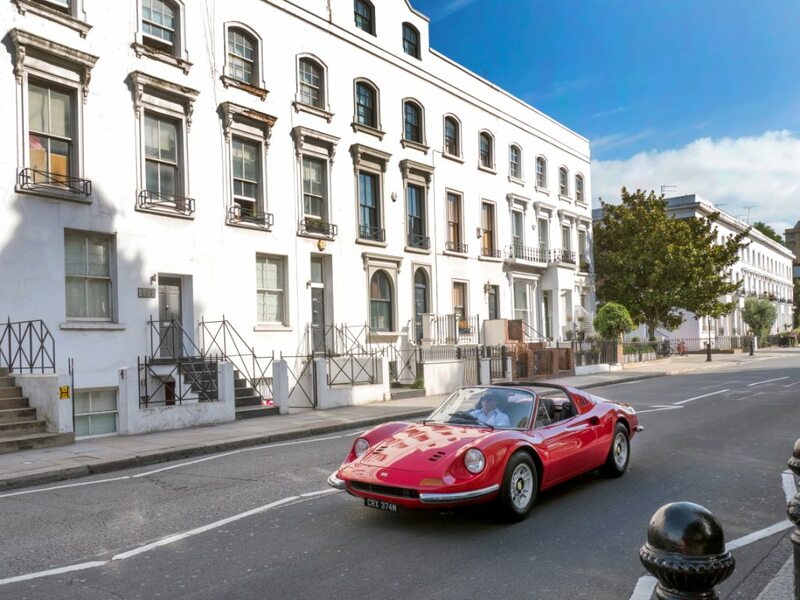 This very special right hand drive Ferrari Dino 246 GTS was delivered new in 1973 to Peter Grant, manager of the legendary rock group Led Zeppelin. The then list price was £6,620.39 plus delivery charges, number plates and road tax. Additionally, the car was optioned with non-standard non-metallic paint at £63.16 and leather upholstery at £210.93. Today the car is estimated at £350,000 to£400,000. 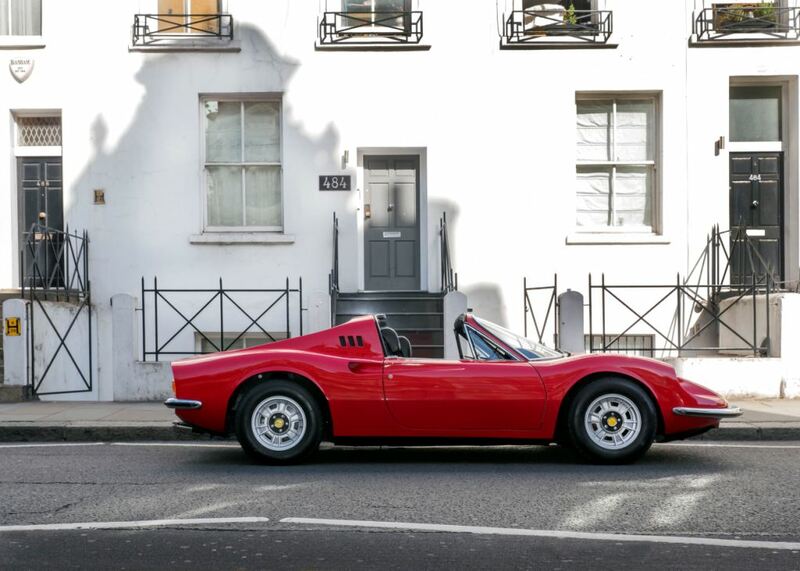 The Dino will be auctioned at Coys ‘Thoroughbreds and Vintage at Fontwell’ auction in the elegant gardens of Fontwell House, behind the traditional horse racing course, and only a few miles up the road from the action at the Goodwood Revival meeting. 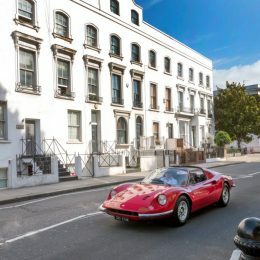 Sixty other classic and sports cars will be going under the hammer, including a 2010 Lamborghini Reventon Roadster estimated at £900,000 to, 1,000,000, a 1975 Iso Lele Sport estimated at £58,000 to£65,000 and a 1954 Aston Martin DB 2/4 Mark 1 estimated at £160,000 to£190,000. One of the features of the sale is the Ex-Paddy Hopkirk and Timo Makinen, Ex-BMC Works 1966 Mini Cooper S, which competed at the 1966 Alpine, RAC Rally, 1967 Swedish Rally, 1968 Circuit of Ireland and Scottish Rally. It is estimated at £100,000 to£150,000. 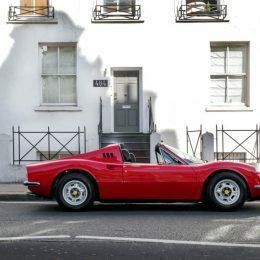 Other important lots include a 1968 Aston Martin DBS Vantage (£80,000 to£90,000), a 1961 Lotus Elite Series II (£58,000 to£68,000), a 1959 Jaguar 3.4l XK150 with only 39,900 miles from new (£60,000 to £70,000), a 1937 Fiat Topolino (£16,000 to£20,000), a 1936 Cord 810 Westchester (£35,000 to£40,000) and a 1963 Jaguar E-Type Semi-Lightweight Competition Roadster, which is the current FIA HTP Winner of the Battle of Britain Trophy, Silverstone Classic 2015 (£200,000 – £220,000).